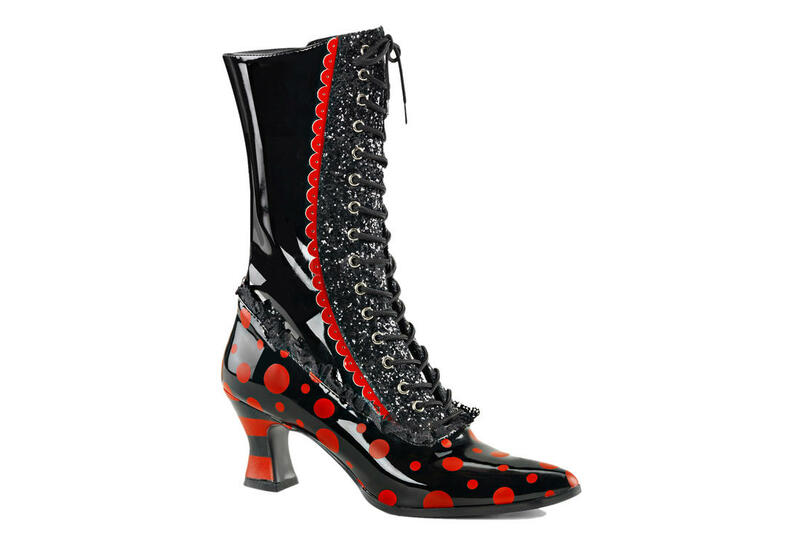 Black and red patent 2 3/4 inch heel polka dot boots with front lace up, mid calf height and black glitter. 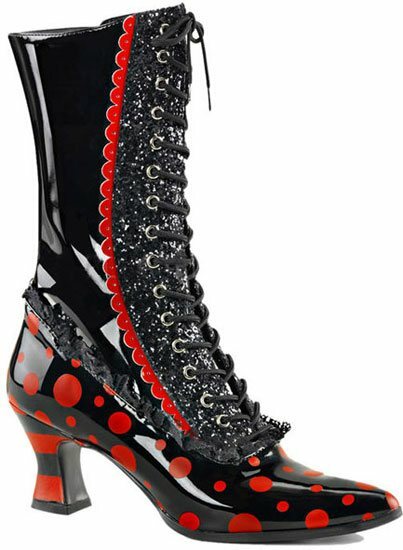 Witch style heel. Lace details and striped heel. Inner zipper. Single sole.